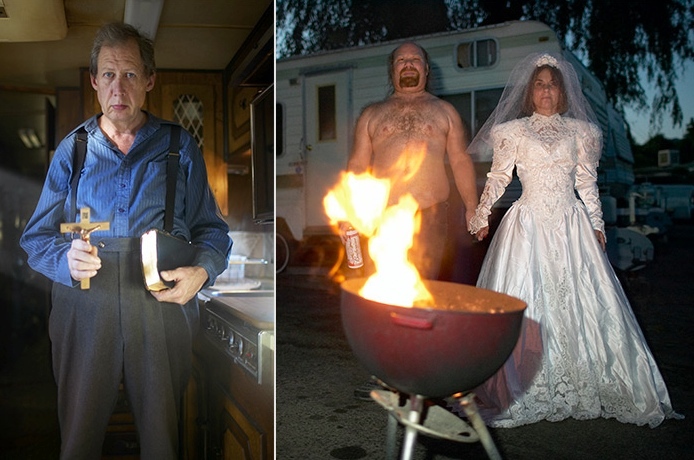 Fine art photographer David Waldorf photographed the residents of a trailer park in Sonoma, California. "I traded the people who participated in this project photos for their time," Waldorf says. Tesla500 rigged an array of 48 high-speed cameras “capable of recording 68 gigapixels per second – 720p at 72000fps!” Bullet Time meets Moore’s Law. No, not that one above — that’s an iconic still from ‘Blade Runner,’ which today’s Trump shot reminds me of. Below, a jaw-dropping photograph from Associated Press photographer Pablo Martínez on Twitter.